Is there a memorable place for both of you that you have always wanted to capture in photos? Perhaps the very location where the proposal took place? Are you going for beach or nature-infused vibes, or for something more urban? Sometimes it’s also a great idea to go for the opposite type of locale from your wedding day to get a different look when it comes to your pictures. 2. Dress Comfortably! Or not. 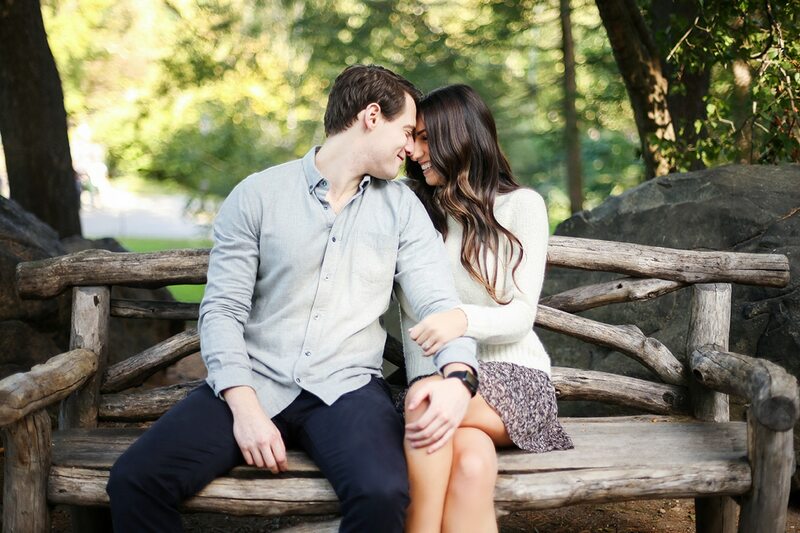 Engagements shoots are a great opportunity to dress down and wear something comfortable in front of the camera. Think light and airy material, and pastel colors that will look dreamy on camera. However, if a glam look and heels is more up your alley, feel free to dress up, and even get your make-up and hair professionally done. 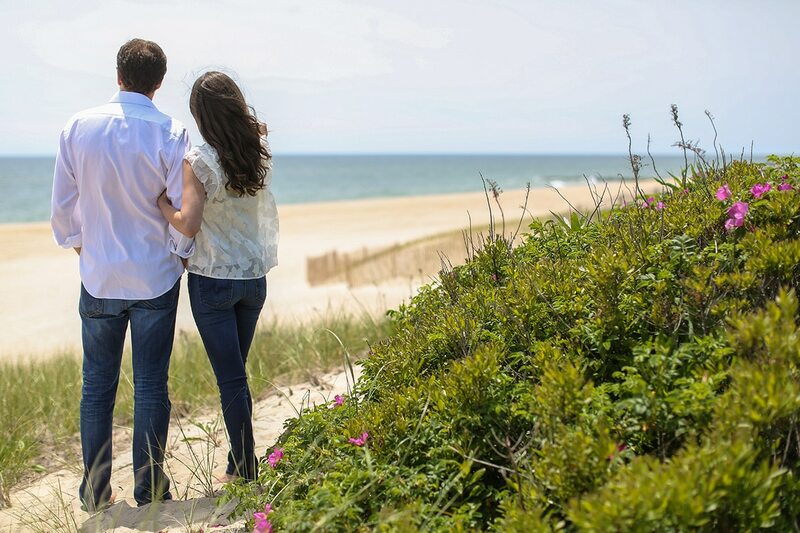 There is no wrong when it comes to engagement pictures, only what’s right for you and your partner. 3. Bring a Prop! Or Your Furry Friend. 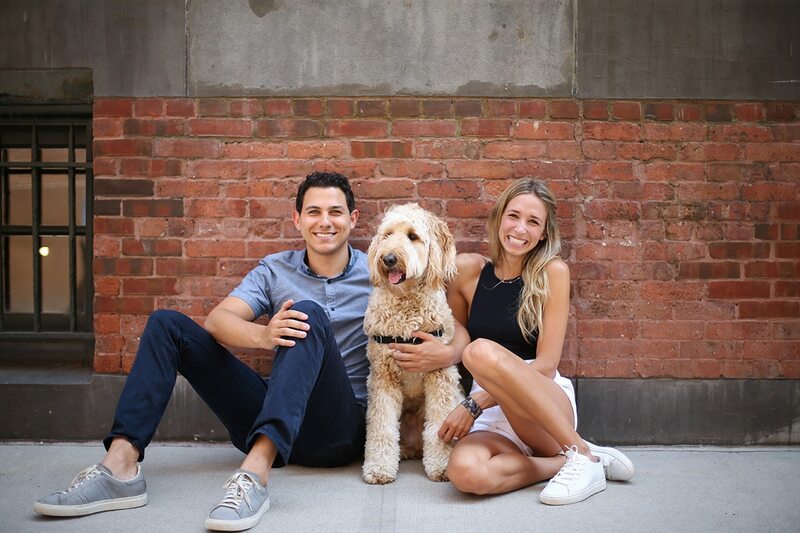 Engagement pics or family pictures with your furry friend? You decide! Either way, lots of couples decide to bring their pups along to an e-shoot and we love it! They make our couples feel at easy and just look cute in pictures. Alternatively, props like champagne, or a food of choice (ice cream? pizza?) also incorporate well into engagement shoots. 4. Prepare to Show Off That Engagement Ring! 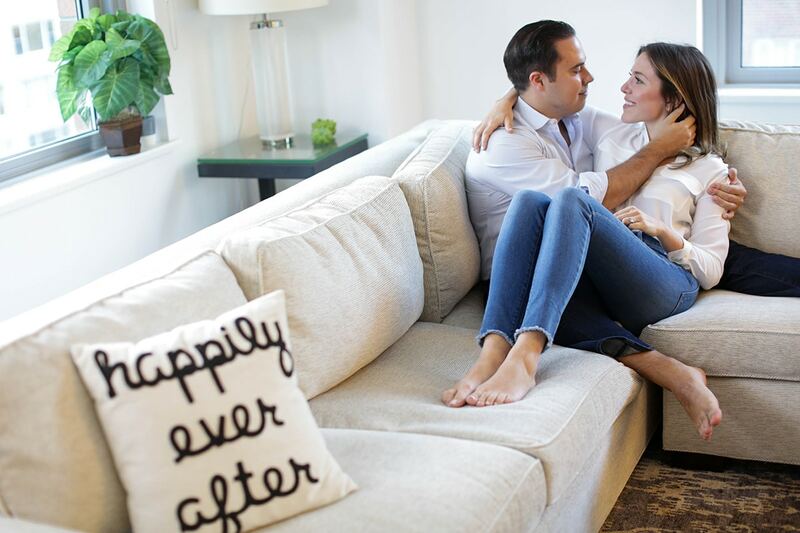 We love incorporating engagement rings into our engagement shoots (duh!) in subtle and not-so subtle ways. Wearing a lot of jewelry can distract from the sparkle on your finger, so sometimes it’s best to leave that additional jewelry at home and simply rock your engagement ring. 5. Most Importantly…Relax and Have Fun! Engagement shoots are a great opportunity to play around in front of the camera and get to know the process of your chosen photographer. Focus on your partner, have fun and let the professional direct guide through the process that will surely yield some magical captures of the bond between you two. For more engagement inspiration, check out Our Work.